Whether you’re brand new to smoking meats, or an old pro, you’re always on the lookout for the best woods and wood combinations to use for smoking. Milder meats like fish and poultry will require milder woods like maple, cherry, lemon, or pecan. Strong meats, as you already know, do best with strong woods like hickory and acacia. Of course, one of the most popular woods for smoking ribs and brisket is going to come from the fascinating mesquite tree. These tough trees are desert dwellers, with crazy root systems that reach out to great distances to find water. The longest known mesquite root was 174 feet long below ground, digging down into a copper mine. These amazing trees help protect the desert soil from erosion with the wide spreading of their roots, and provides food for animals and humans alike through their seedpods. 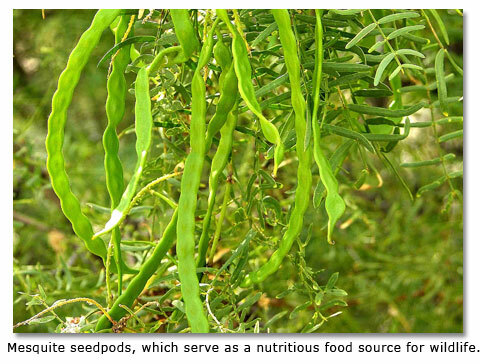 The seedpods dropped by the mesquite tree can be ground into flour and used to make foods like tortillas or bread, if one needs to. These seeds are high in protein and fiber, and are believed to help regulate blood sugar levels. On the other hand, the mesquite tree earned its nickname of “devil tree” by sucking up the water around it, blocking out other plants from growing nearby. Its vicious thorns don’t help its reputation any. Another trick of these hardy trees is that their seedpods can lie dormant for something like 40 years, waiting for the right conditions, before they sprout and grow into trees. Most of the mesquite trees found in the United States live in Texas. So most of that great smoking wood you’re going to get will come from the Lone Star State. In fact, mesquite trees take up nearly a third of the 167.5 million acres of land in Texas. Despite its abundance in the U.S.A., Mesquite is one of the most expensive woods available for lumber. The trees are either too small to harvest for large boards, or the trunks are too twisted or bent. Because of that, it’s often more likely to be used for smaller projects or chopped into chunks for meat smoking. Interestingly enough, this tree used to be popular with Spanish ship builders. As time has passed, though, expensive cabinets and furniture now are created from this wood. Because of its lack of shrinkage and warping, some varieties of this wood are particularly valuable in exceptionally humid climates where other woods warp and bend. Over 40 types of mesquite trees exist. Varieties of these trees live anywhere from South America to the southwest region of North America, and in between throughout Central America’s desert regions. And while they thrive in desert lands, they can be transplanted to other sandy soiled places like Florida. These plants grow into either small brush sized bushes or large trees up to 50 feet tall. Some of the more common varieties of mesquite wood trees are the honey mesquite, which is commonly used for smoking food, the white mesquite, and the Chilean mesquite tree. Mesquite wood is commonly known for fueling barbecues and smoking meats. Entering nearly any grocery store in America provides you the opportunity to see “Mesquite Smoked” turkey or ham. This hardwood can be used for other useful things, too, though, especially as it shrinks very little over time, beautifies with age and doesn’t warp easily. It’s one of the few woods that can be carved green, but is tough enough that heavy duty tools are needed to do it. As mentioned above, mesquite wood is perfect for smoking meats. The honey mesquite has a strong, somewhat sweet flavor, perfect for smoking meats like pork, beef and other strong flavored meats. Some say it is the best wood for smoking ribs. If you love ribs, you’ll be glad to know that since mesquite is an invasive species, you’re doing the environment a favor by using mesquite wood for your barbecues. Once you’ve decided that you’re going to use mesquite wood, the challenge is, of course, finding it. Despite it being tough to find for furniture making, it’s fairly easy to locate in chunks for meat smoking. Try looking anywhere that smokers and grills are sold. This could be Wal-Mart, Lowes, Home Depot, Target, Ace Hardware or Amazon. To get the best smoke for your ribs, try mesquite wood. You can find chunks of wood from these exceptionally hardy trees just about anywhere that smokers and grills are sold. Your meat will grow in flavor from the smoke, and your taste buds will thank you.